PMG Technologies is dedicated to testing and research in all areas of transport. Our broad range of skills enables us to support our clients from the drawing board to the commercialization of their products. With offices in Canada and in China, we promote an open communication policy that favors the exchange of information between international markets. For over 20 years Transport Canada has relied on our expertise to not only manage its Motor Vehicle Test Center but also to run research programs, compliance programs and create a state-of-the-art center. To this day, we continue to offer highly specialized test services for all areas of transport. China – Our partnership with CATARC and its test and research centre TATC enables us to conduct vehicle certification and provide consulting services to Chinese and European motor vehicle manufacturers at both test centers. Europe – This partnership focuses on sustainable mobility, structures and materials, smart and connected infrastructure and the establishment of new standards. It combines an offer that includes over 4,500 experts, 4 urban laboratories, 2 closed-circuits laboratories, a collision laboratory, environmental chambers, test tracks and more. This agreement is ideal for our international clients who will benefit from urban mobility solutions on multiple continents. Korea – KATRI and PMG aim to achieve new levels of research and testing in regards to safety and innovation. With extensive experience in the field of innovative mobility, the two centres are working on protocols for the evaluation of connected and autonomous vehicles in both laboratories and urban settings. This collaboration will lead to a new Asian-North American skill-set that could be used to reduce testing costs for manufacturers. We have put together sponsorship programs to support innovative engineering students working in the automotive industry. Within these programs, we give students access to the tracks and facilities to conduct testing on their prototypes. What’s more, every year PMG donates to different fundraising campaigns chosen by its employees. Past donations have been made to the Quebec Breast Cancer Foundation, the Quebec Mental Illness Foundation, the Canadian Fallen Firefighters’ Foundation, and the Ordina-Coeur foundation. 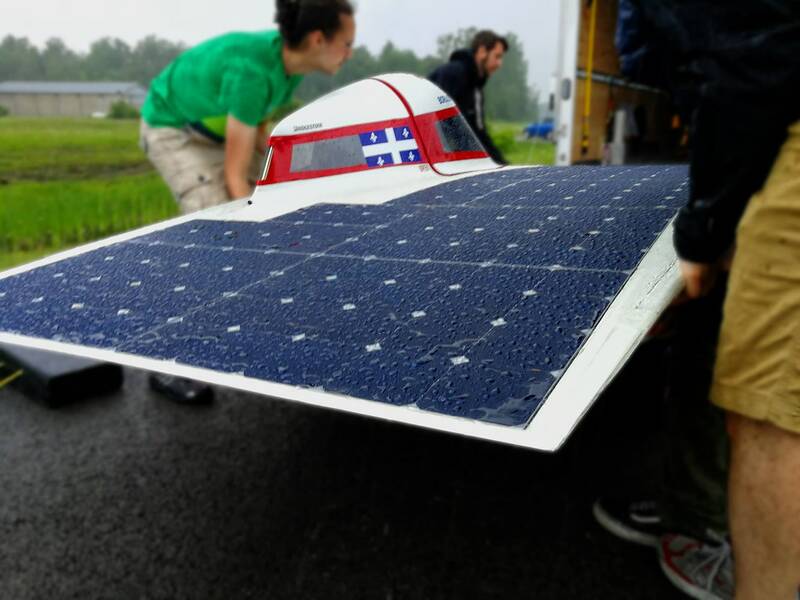 Since 1992, the Éclipse solar car team at the École de technologie supérieure uses PMG Technologies' facilities annually to characterize and test its prototypes. The professional-level facilities and the courteous staff make PMG Technologies a destination of choice for ÉTS teams, who can benefit from important data in international competitions in which they participate. 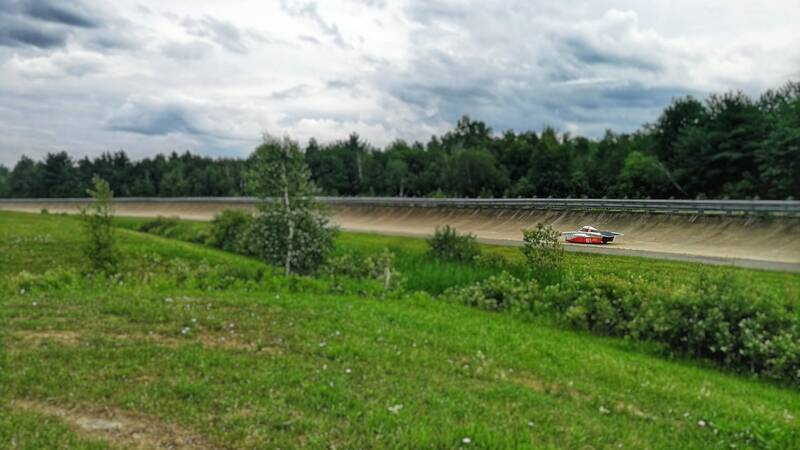 The Eclipse solar car team is pleased to be able to count on PMG Technologies for years to come, to continue to improve the performance of its prototypes while pushing the limits of sustainable and environmentally friendly transportation. PMG Technologies has always offered us a professional service as much in terms of turnkey tests as the rental of specialized equipment. PMG also adapts quickly to our specific needs. The speed of response to our requests is very important for our development activities. The Blainville test center offers us all the necessary conditions to carry out several of our projects, including our training in preventive driving in winter conditions. Each time, we can count on the good services of PMG Technologies, listening to our needs in a professional way. A plus for a driving education under the sign of quality that we care to ensure! I enjoyed working with PMG's professional team and plan to do it again in the near future. The staff was courteous and responsive to the particular needs of Campagna Motors. We have used PMG 4 times for tests ranging from full crash tests to seat pulls and flammability. We have always been treated with the same level of professionalism by all the staff regardless of their job role or seniority, and I’m looking forward to seeing them again in the fall when we are planning on another full set of CMVSS/FMVSS 301 crash tests. The team at PMG delivers excellence in all areas. Their team is professional and you can always count on them to do the right thing. During my visits in PMG I was every time well welcomed.I was able to appreciate the preparation and professionality of the staff at every level.They are fully customer orientated and open to provide and share information’s’ and experiences besides the strictly necessary. I realize that they are have well-equipped and efficiently testing department and workshop too. The flexibility and rapidity to carry out some parts modifications and re-work permits change on going testing plan and activity if required by their customer. We were satisfied with the service provided by PMG Technologies and would highly recommend them for future projects. The PMG level of professionalism is unsurpassed in the industry. Our company is very young with big ambitions so when we called out to PMG for there services we did not know what to expect. This was the first time we required to perform such test on our vehicles for a very important contract. PMG helped us throughout the way and the final result package we delivered to our client was beyond what they expected. The team, the facility, the approach is beyond professional. I highly recommend dealing with PMG and you can be sure we will be using them in the future.